ROAD TOWN, Tortola, VI - The Virgin Islands’ (VI) Immigration Department is in critical need of a Border Management System, which costs in excess of $4 million. 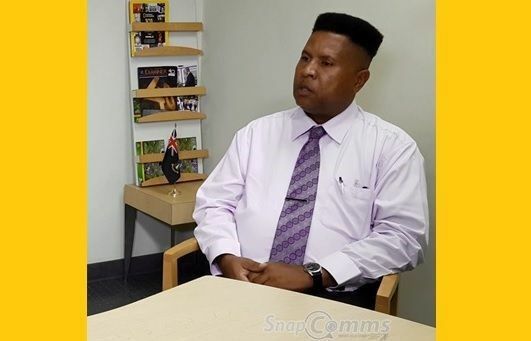 This was disclosed by Acting Chief Immigration Officer, (AgCIO) Mr. Ian B. Penn, who was at the time appearing before the House of Assembly’s (HoA) Standing Finance Committee. In addressing the Committee, Mr Penn stated that the Department continues to seek improvements in the way businesses conducted, but the wake of the recent storms, their systems have weakened. As such, he said that it is a priority that they obtain an updated Border Management System which is critical given the vulnerabilities posed by the hurricanes. He also highlighted that in the budget, some $5 million that was given to Immigration, Police and Labour to be divided among them. According to the report on the proceedings, the Acting CIO also divulged that the Department’s portion of the money has been expended on security purposes, tactical gears, surveillance cameras and vehicles. “The money also covers training for immigration as well,” it stated. Among the other concerns highlighted was the need for funding for the vacant posts of Immigration Clerks and a Systems Administrator, along with the need to create a post for a Senior Accounts Officer and four Grade II Immigration Officers. I totally agree, Immigration, Police, Labour seem to have no resources, especially IT resources to do their job. $4mil is nothing for a country, what happened to all the cash! Brother Penn: when you get that money let us know(dont hold your breath)...now!!! if you want 4 mil to build a beach that will be a dun deal!!!! Waste of time. Immigration calling for that same thing every year. Good luck with getting the 4 million sir. If his name was Trump everyone would be screaming that he was a racist. We do need secure borders to keep all these criminals from STT coming over as without having weapons we are helpless. I hope the updated Border Management System includes finger printing. It's time to step up to fingerprinting in the B.V.I. Y’all don’t need a darn thing...your officers discriminatory skills works cause all the young black females are labeled as strippers and is denied entry into the territory. Between Penny and Saso (Wade Pitbull), they have everything on lock. Save our tax money and keep them 2 hogs employed. They need a computerized system that eventually would become part of a national database. It does not need to cost $4 million dollars. At a educated gues $1-1.5 million. Cash is no problem ,budgeting is my concern. We have some smart scholars who can get this job done to start with.